The design and manufacturing of loudspeakers can be described as falling on a continuum. At one end, we have speakers that use off-the-shelf drivers purchased from driver manufacturers, combined with crossovers based on information in standard loudspeaker design cookbooks and/or loudspeaker design software (perhaps with "voicing" that conforms to the designer's preference). In the hands of a skilled designer, this approach can produce good resultsbut they can't claim any originality. At the other end of the continuum are speakers that are designed and built from the ground up,, using design principles that, while perhaps not entirely original, represent substantially new application of these principles. This approach is much more rareand much more costly to implement. 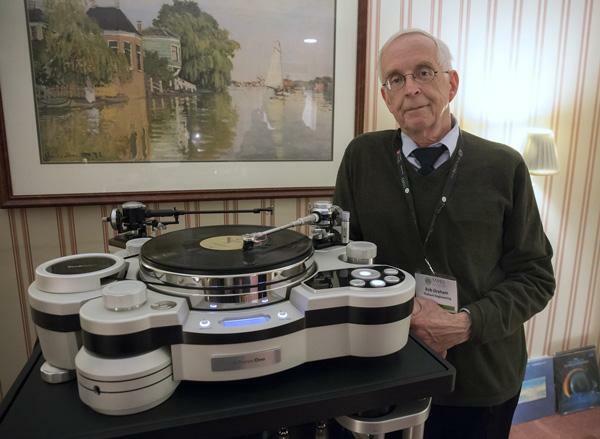 Turntables were much in evidence at TAVES, perhaps the most impressive being the TechDAS Air Force One, which had two versions of the famed Graham Phantom Elite arm mounted. Bob Graham himself was on hand, and can be seen in the photo. Bob demonstrated the vacuum hold-down of the turntable, the audible resonance of the LP when tapped being silenced when the vacuum was turned on. Impressive. The worldwide standard price of the Air Force One is $100,000, and the Phantom Elite arm is $15,000, but Bob said that since he's also the distributor of the AirForce One, he can offer a "deal" on the package price. No, you're not accidentally visiting www.motorcyclistonline.com. With some out-of-the-box thinking, Suave Kajko, President of the Toronto Audio Video Entertainment Show (TAVES), and Simon Au, Vice-President Sales of TAVES, approached Harley Davidson Canada about exhibiting at TAVES 2013 this past weekend, and the HD people agreed to participate. What does this have to do with audio or video? 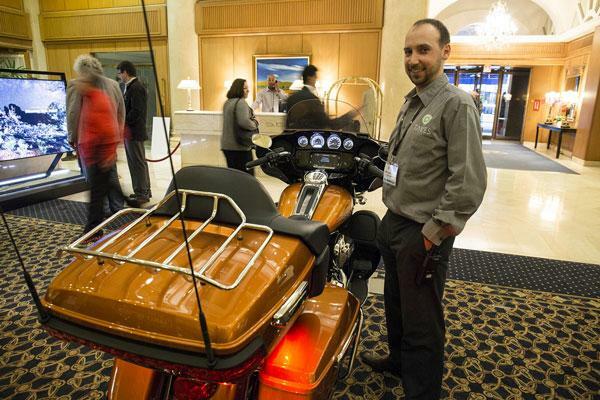 Well, the top-of-the-line Ultra Limited Harley ($30,000) includes an "infotainment system," with all kinds of audio/video goodies, including surround sound. Here it is, with Suave looking suitably...suave (Sorry!). 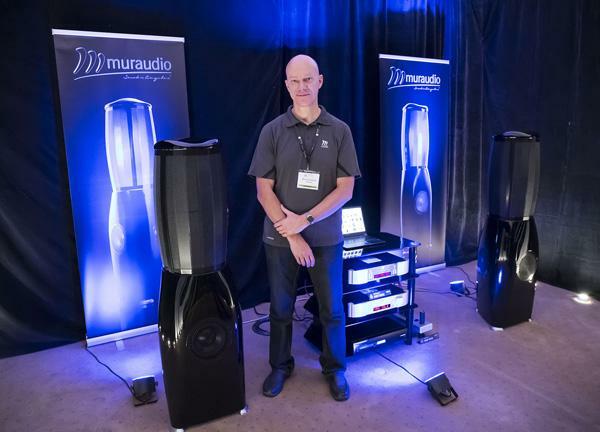 For some, the Toronto Audio Video Entertainment Show (TAVES 2013) is the show of the future. For others, it may signal a possible decline in the supremacy of two-channel audio. 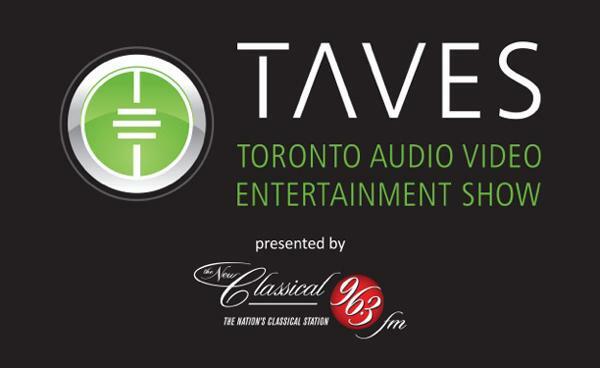 Either way, just two weeks after RMAF in Denver, with hardly any space between Stereophile's comprehensive coverage of that major two-channel show, TAVES 2013 takes place November 13 in the classy King Edward Hotel in downtown Toronto.